British Beatles Fan Club: Heritage Open Days in Woolton - this weekend! 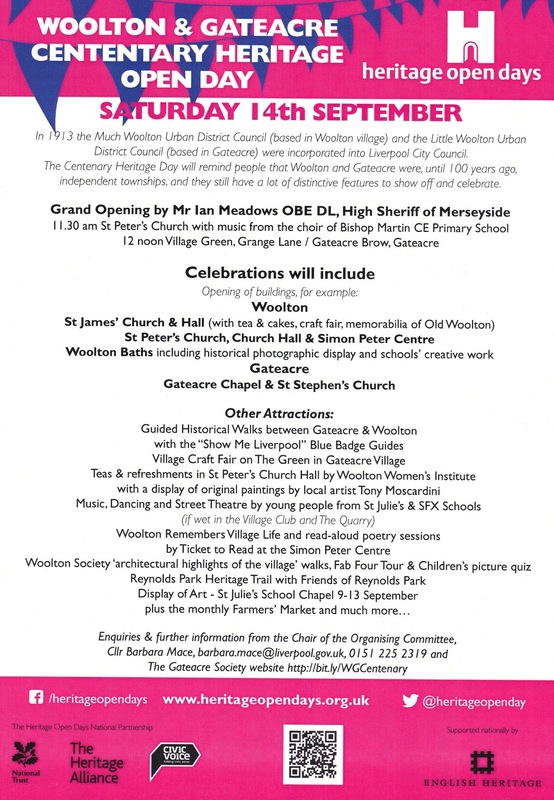 As part of Heritage Day, various places in Woolton will be open for visitors this weekend! St Peter's Church and Church Hall will be open on Saturday, and Woolton Baths, where John and Paul both went swimming as boys, is open from Thursday to Saturday! See a photographic display of the day that John and Paul met, and also a collection from a childhood friend of Paul's that is on display FOR THE FIRST TIME! A historic display: the Baths , former fire station/ stables, and former ‘ private ‘wash baths’/ ‘slipper baths’. Memories of users of the private ‘wash baths’/ ‘slipper baths’.